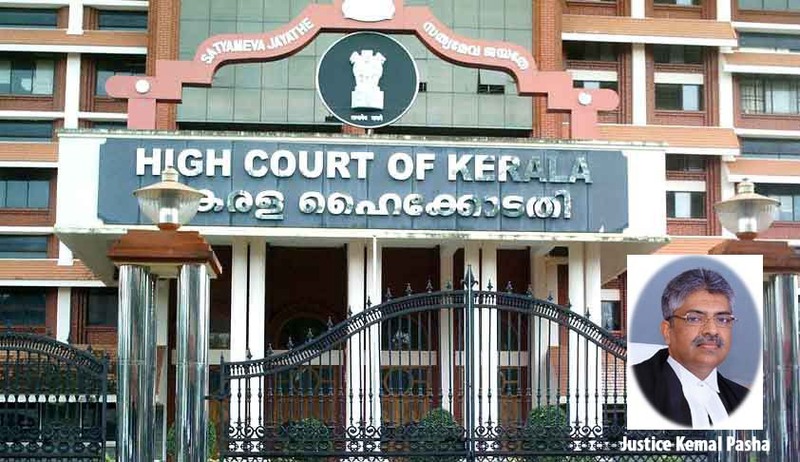 The Dewa Investors Association has filed a petition in Kerala High Court seeking a direction to the Reserve Bank of India and the Central Vigilance Commission to conduct a detailed investigation into the transaction relating to the availing of loan by Dewa Projects Private Ltd for launching a super luxury apartment project in Kochi. The petition has been admitted and notice issued to the Respondents. The Reserve Bank of India has been directed to file a report within 3 months. The Association had allegedly invested Rs. 35 crores in the proposed project DEWA PIER 20. Dewa Pier 20 was launched in January 2012, with an assurance that it would be completed by December, 2015. A loan of Rs. 477 crores was also sanctioned by a consortium of Banks/Financial Institutions in 2005. The loans were however declared to be Non Performing Assets by the Consortium banks on various dates between 2006 and 2014. The information regarding the loans turning NPAs was neither published by the Reserve Bank of India, nor by the consortium of Banks. This was despite a clause in the agreement between the consortium members and the company, that in case of committing default in repayment of the principal amount to loan or payment of interest on due date, the lenders and RBI shall have unqualified right to disclose or publish the details of the defaulters. Due to non-disclosure, the petitioners continued to make payments to the Company from 2012 onwards, which it contends it would not have effected, had it known about the NPAs. It further alleges that due to failure on the part of the members of the consortium banks in initiating recovery proceedings promptly, interest at the rate of approximately 22 Lakhs per day is accumulating. “The inaction on the part of the auditors and officials of Reserve Bank of India and members of the consortium banks in taking prompt steps for realizing the dues outstanding and also the failure on their part to publicly disclose the defaults committed by the borrowers to the members of the consortium banks which resulted in members of the complainant Association investing in the Project to the tune of approximately Rs.35 Crores needs to be probed in detail and the culprits are liable to be prosecuted. A detailed enquiry is to be conducted by the Reserve Bank of India and stringent action against is to be taken against the persons found to be guilty of such grave lapses and illegalities,” it states. The petition also alleges that even though payments have been made to M/s. Dewa Projects Private Limited by the Association and similarly situated individuals, these payments have not been accounted for promptly. It submits that payments made by some of the members of the petitioner association have not been given credit by the company in their books of accounts. The petitioners bring to the notice of the Court that they had submitted a representation to the RBI for a detailed enquiry to be conducted by an independent team of auditors appointed by the RBI with the assistance of CBI, if required, into the entire transaction in relation to the availing of loan by the Company. A complaint was also lodged with the CVC. However, apprehending an inordinate delay on the part of the RBI and the CVC, the petitioner Association had now approached the High Court. Hence, in view of the fact that the members of the Association and several others have invested nearly Rs. 35 crores for the construction of two towers of the projects, the petition demands that they be permitted to bring a buyer to purchase the plot where the two towers are situated. It further demands that even if such an auction is conducted by the members of consortium banks, credit should be given by the members of the consortium banks as well as the borrowers, for the payment made by members of the Petitioner Association. It such a case, steps are also demanded to be taken for allotting apartments at the agreed rate on which the Builder had agreed to construct and deliver the Apartments to the petitioners. The petition further demands a CBI investigation into the “mischief” committed by the Banks in sanctioning the loan, disbursement of loan, utilization of funds and allowing the Company to “extort” money from the public on count of advance sale consideration towards the sale of property mortgaged with the consortium of banks, even after the loans were declared as NPAs. It is interesting to note that DEWA Projects(P) Ltd, India and DEWA Europe have been debarred for a period of ten years from September 2008 based on allegations of payments made to US Army Major John Cockerham in exchange of Bottled Water BPA Calls. Enquiries made by the petitioner association revealed that they have been debarred by the U.S. Army till July, 2018.